If medical school is in your future plans, George Fox University offers academic course work that will prepare you to get there. George Fox pre-med students who maintain a GPA of 3.5 or higher have a better than 95 percent acceptance rate into medical school. The university maintains an 80 percent acceptance rate overall – considerably higher than the national average (50 percent). 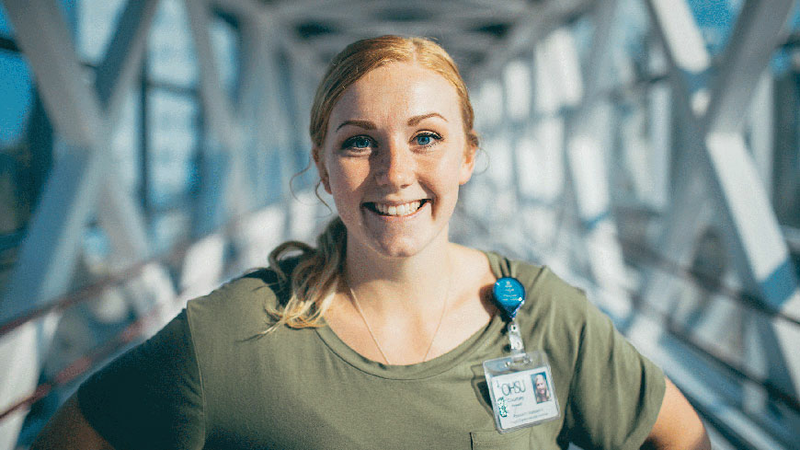 Pre-med students at George Fox have the opportunity to join the local chapter of the American Medical Student Association, a student-governed national organization committed to connecting pre-med students with resources that will help prepare them for medical school. In addition, there are opportunities to work as a teaching assistant or gain internship experience both on and off campus. Our biology and chemistry professors actively conduct research in onsite and offsite research laboratories, providing our undergraduate majors the opportunity to participate and present the results. Students in George Fox’s biology major, for instance, have gained valuable research experience alongside professor John Schmitt, whose breast cancer research project, “Vitamin D Regulation in Breast Cancer Cells,” has received more than $75,000 in grant funding from the M.J. Murdock Charitable Trust. Request more information about the pre-med program at George Fox University or schedule a visit to begin your education at Oregon's Christian university, ranked as one of the top Christian colleges in the nation by Forbes. "I was closely mentored by several faculty members who saw my potential and directly encouraged me to pursue graduate school. They coached me step-by-step through the process of deciding what program and what school would be the best fit. Many of my med school classmates had learned material in big lecture halls and were more equipped for passive receiving of information, rather than taking initiative and being willing to try new ways of thinking or doing." Students take a liberal-arts curriculum that helps broaden perspectives and contributes to an appreciation and understanding of all aspects of society. All classes are taught from a Christian worldview where faith is integrated with learning. Our professors are current in their fields and care about each student who comes through the door. Instructors are accessible both inside and outside the classroom.